We had stake conference this morning, which always feels a little long with two little ones. This sweet little story and metaphor was shared and it just was the sweetest. Happy Sunday! In 1930, Ruth Graves Wakefield and her husband purchased a tourist lodge in Massachusetts. Ruth made all the food for the guests and became well-known for her desserts. Her chocolate cookies were a favorite. She used baking chocolate to create the chocolatey batter. One day after realizing she had run out of her baking chocolate, she decided to use a semi-sweet chocolate bar she was given. The semi-sweet chocolate did not melt like the baking chocolate. Say hello to chocolate chip cookies. Nestle ended up purchasing the recipe for her cookies, which is now the recipe on the back of Nestle Tollhouse Chocolate Chips. The pieces of chocolate withstood the heat and maintained their shape while cooking. We too can be like a chocolate chip. Heat and pressure will come into our lives. We can withstand the heat. We can maintain our shape. 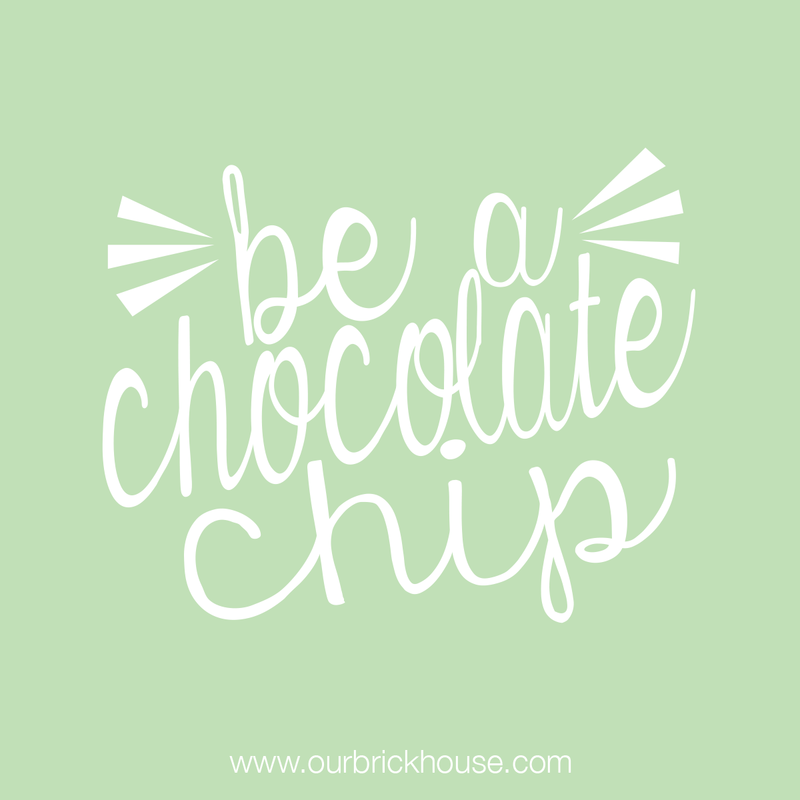 Don't forget, be a chocolate chip!